Cape Town — It's hard to believe that my favourite Zimbabwean singer is gone. He made long road trips shorter, as we belted out the lyrics and look over at the people in the car next to you staring. Boring occasions came to life just by the power of his music. His lyrics often carried social messages and even if you didn't understand Shona, his music and tender approach in his voice was enough. He had relatable lyrics for weddings, funerals, graduations, social injustices... anything you can think of and he always nailed it! His iconic husky voice and soothing melodies would just shine some light whenever I felt low, stressed or just miss home because it felt like he knew what I was going through. I remember the day I graduated and got married and my family dedicated his song Totutuma (We Celebrate) - loosely translated to "this is our day, let's celebrate, you have made us proud." You have been part of my life since that day I came to this world. No words can truly explain the pain I feel. I am still going to play Mbabvu Yangu on my white wedding, and this will be my tribute to you. I will forever treasure every memory that was created, helped by the sound of your music. Rest in Peace Samanyanga. 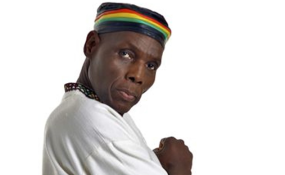 It's hard to pick a favourite Oliver Mtukudzi song, so I have listed some of his songs that brings me back memories of my livelihood.